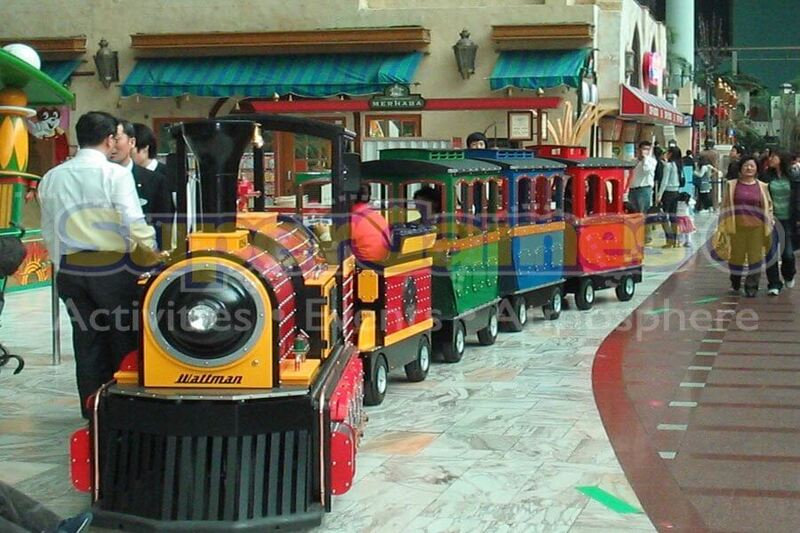 This trackless train has everything! 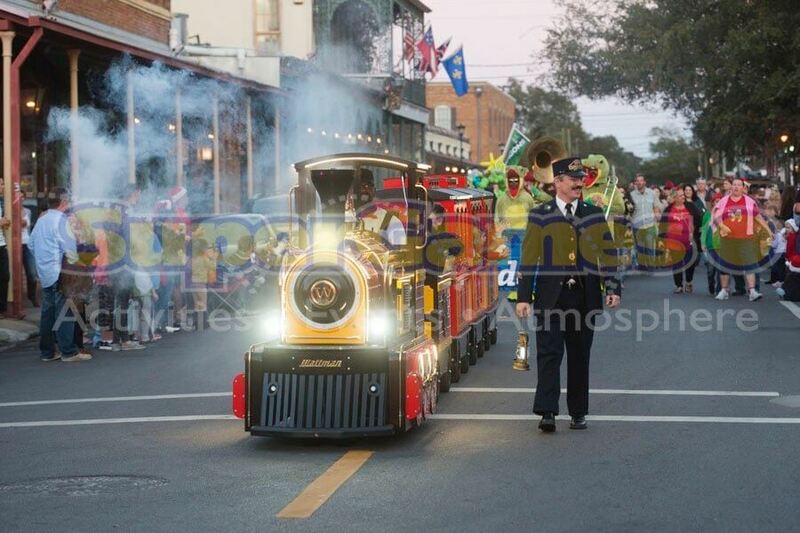 Lights, real train sounds, “wheels in motion” so all the wheels spin, bells, whistles, and a PA system as well as music in every car! Holds up to 24 kids or 18 adults and kids together. No exhaust fumes, no loud engine noise these trains are 100% electric so this train can run inside or out, rain or shine. 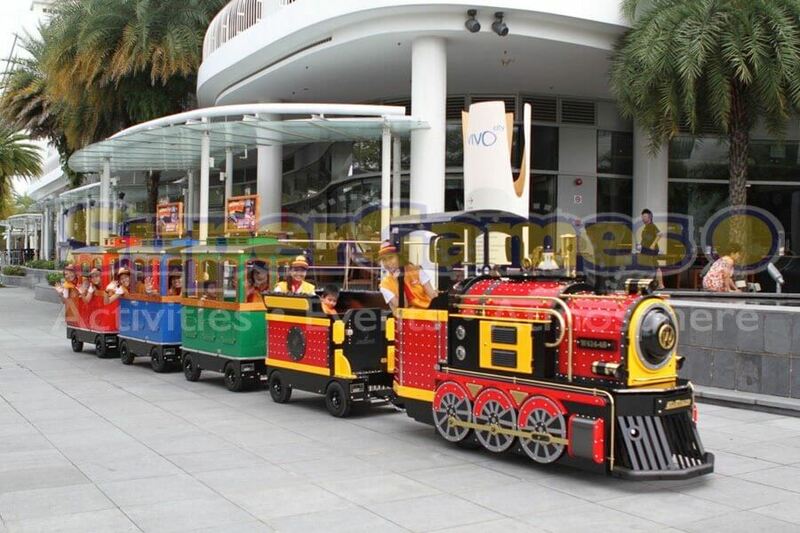 Wattman makes one of the finest and safest trackless trains in north America. 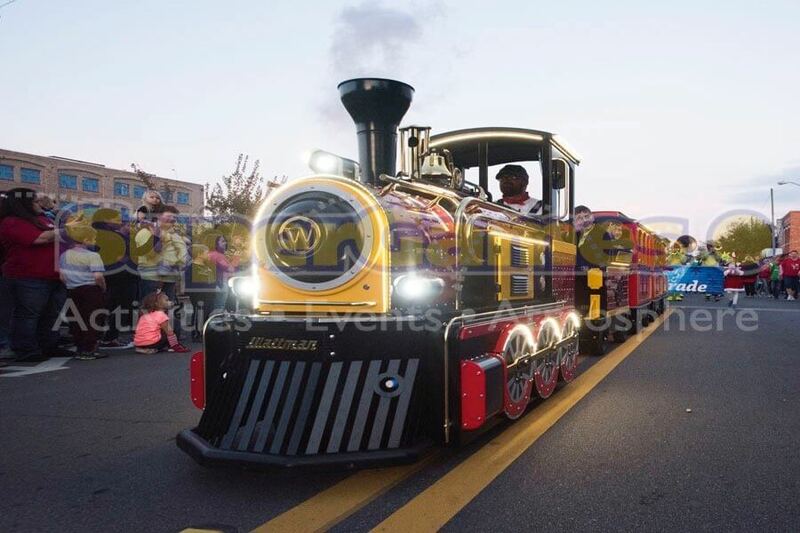 There is something about a train that makes memories nostalgic; this trackless train adds a new dynamic to the Supergames line of activities, events and atmosphere. 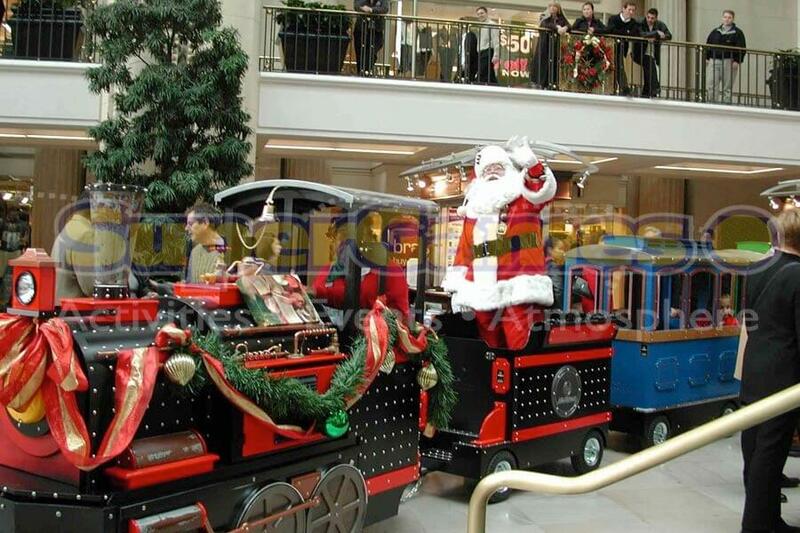 This will be an exciting and unforgettable experience for the four carts of passengers that it can carry. 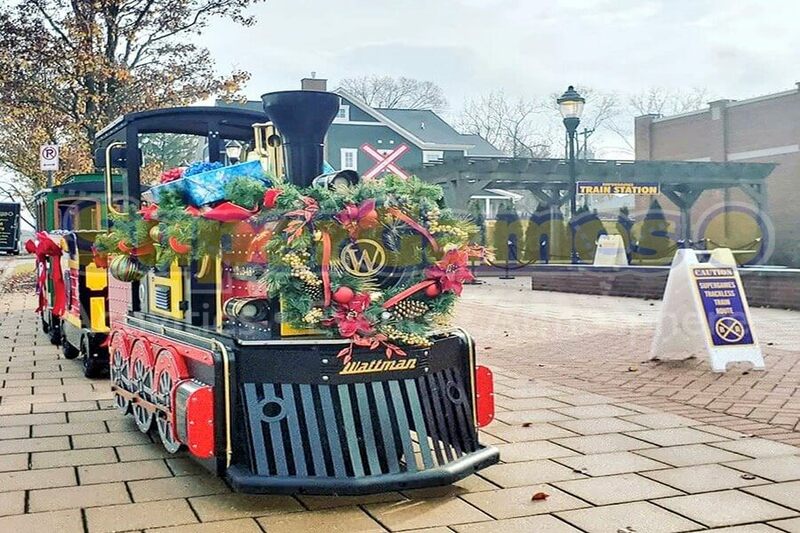 From casual events, to a winter wonderland, this new train sets the bar high for being a creative setting for any event. All aboard!